Caribbean Weddings in Jamaica- When it comes to Caribbean weddings on the Island of Jamaica, the trident Castle is the ultimate place! Jamaica - Port Antonio, Trident Castle This Jamaican wedding facility and its breath taking castle has over 40,000 square feet on the water, a helicopter pad, pool and 8 servants! 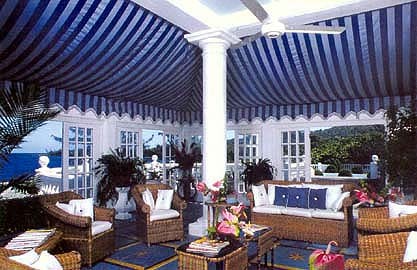 We can also accommodate larger parties for Caribbean Jamaica weddings and meetings at the castle and Trident villas. The Trident Castle is a place for a Fantasy Wedding of your dreams. 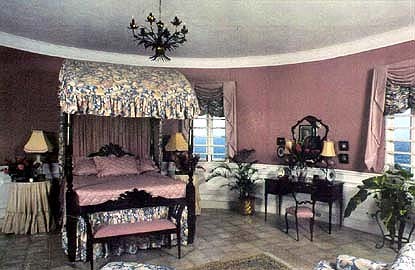 The Castle is overlooking the Caribbean sea and is one of the largest and most glamorous homes in the Caribbean on 17 seaside acres. 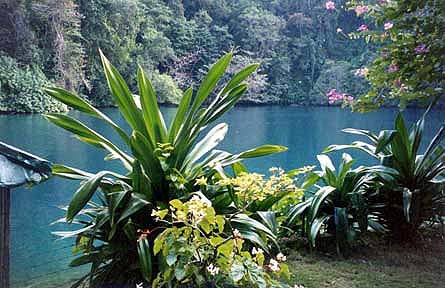 The jewel of Jamaica weddings! The library, music room, bar and ballroom are staffed by our chef, chambermaids, waiter, gardeners, launders, and gatehouse guard. There are four-course dinners nightly with white glove service. Masseuse and hairdresser by appointment. There is also a 30' by 55' private swimming pool along with a sound system, CD library, TV and satellite dish. Our private chapel on the grounds is located on a peninsula in the bay of Port Antonio with panoramic views of bay, sea, hill and gardens. There is nearby private beach along with two tennis courts, croquet, and a top rated restaurant and boutique at Trident Hotel. The Golf course along with water sports, deep sea fishing, sailboat charters, snorkeling, diving, river rafting is within 2 miles from the castle. Our helicopter pad on grounds is only 13 minute flight from Kingston and a 45 minute flight from Montego Bay - While the drive from Port Antonio airport is only 18 minutes. Full use of Trident Hotel facilities to include a private beach, snorkeling equipment, tennis courts, lounge chairs and towels, laundry, sunfish and nightly entertainment at hotel. Sample food and beverage menus can be provided as well as as guest preference sheets. Request forms will also be provided for any special items or amenities - some of which may attract an additional cost. Nearly fifteen years ago an impressive gray stone structure started to rise skyward on a rocky peninsula known as Peg Point, about four miles east of Portland's parish capitol, Port Antonio. As the incongruous building emerged it took on the shape and size of a medieval castle, which quickly became the subject of legends, rumors and tall tales. Its unique architecture also led to many flattering comments on it's artistic beauty. The Castle's resilience against destructive forces has made it legend. It is the only structure on the coastline to be hit by a hurricane with forty-foot tidal waves, to be blown up in front of hundreds of witnesses and to be struck by lightning and still remain standing. During construction of the Castle, the owner was approached by Twentieth Century Fox for permission to use the unfinished Castle for an action movie starring William "Cannon" Conrad and Eddie Albert. The gray concrete structure was leased to the movie company. There was some panic in Port Antonio when Word got around that the Trident Castle was to be wired with explosives and blown up in the final scene of the movie. The huge crowds that gathered to watch the catastrophe were not disappointed. At about midnight, a massive blast (courtesy of Hollywood's pyrotechnicians) ignited the hallways and enveloped the Castle in a dramatic orange mushroom cloud that could be seen for miles around. In the meantime, word went around that the Castle had indeed been blown into oblivion. There was great surprise when the sun rose the next morning to reveal the building intact except for a few charred patches on the walls. But what is the real story of how the Trident Castle came to grace the Portland, Jamaica coastline? 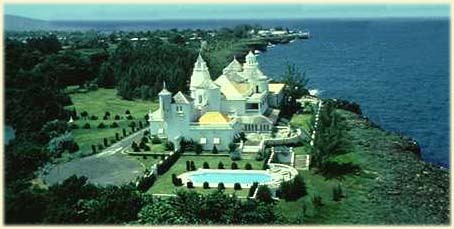 According to the owner, although the original plans called for a private three-bedroom house, the immensity of the Castle project presented the ideal opportunity to unleash his bubbling energy into an ultimate monument that would reflect some of Jamaica's heritage in a unique landmark for the Portland coastline. With this in mind, he commissioned Italian sculptor, Georgio Ferrari to design traditional decorations for both the interior and exterior of the Castle. 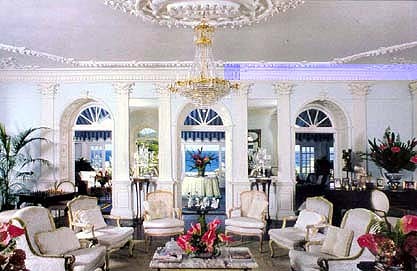 The main hall reflects Jamaica's British heritage. It is fashioned on the concept of Britains Clandon Park that was designed by a Venetian architect in 1730. 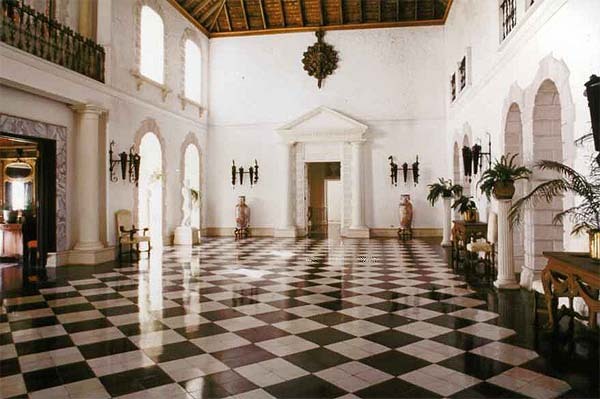 Wrought-iron torches light this main hall with its epic 47-foot ceiling and black-and -white checkerboard floor. 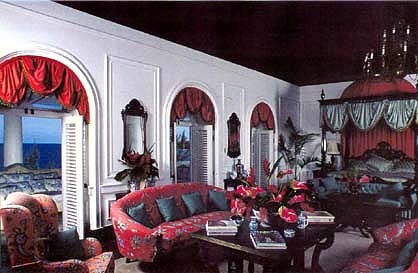 To the left of the hall is the dinning room whose walls and ceilings are embellished with white plaster friezes of birds, fruits and flowers indigenous to Jamaica. Urns and statues, a 14-foot 19th century Chippendale mirror with matching marble table and a huge mahogany dining table under a massive crystal chandelier complete the picture of regal grandeur. 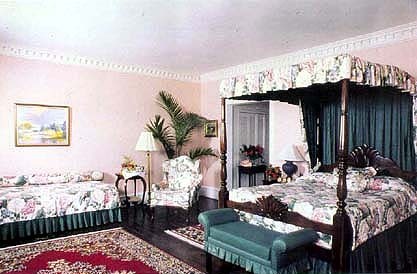 The Master Bedroom on the upper floor is 32 feet by 28 feet with a 17-foot high ceiling and a sea front balcony that runs the full length of the room. 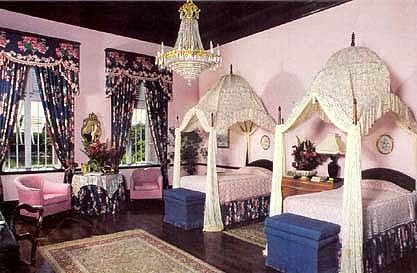 The bedrooms are decorated with floor to ceiling curtains at the windows and the mahogany four-poster beds are draped with lavish lace canopies and spreads, each consisting of more than 120 yards of French lace. 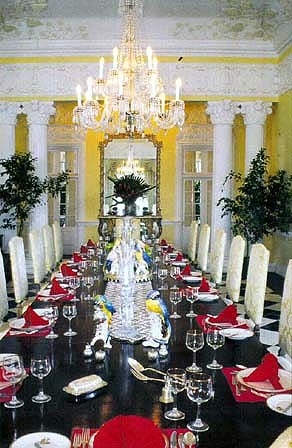 Over the years, the Castle has played host to many functions, parties, balls and weddings. Candlelit concerts, featuring traditional chamber music, have taken place in the main hall and superb jazz concerts have contributed yet another musical dimension to the Castle's winter season. 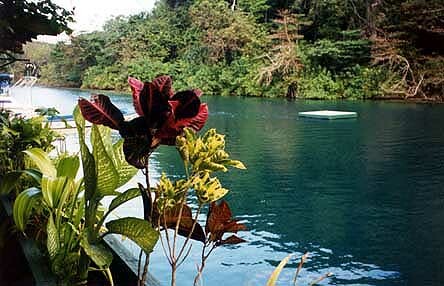 Jamaica is the ideal Caribbean Island for the ideal caribbean wedding in Jamaica. Celebrate your special caribbean wedding ceremony in Jamaica at the Castle.